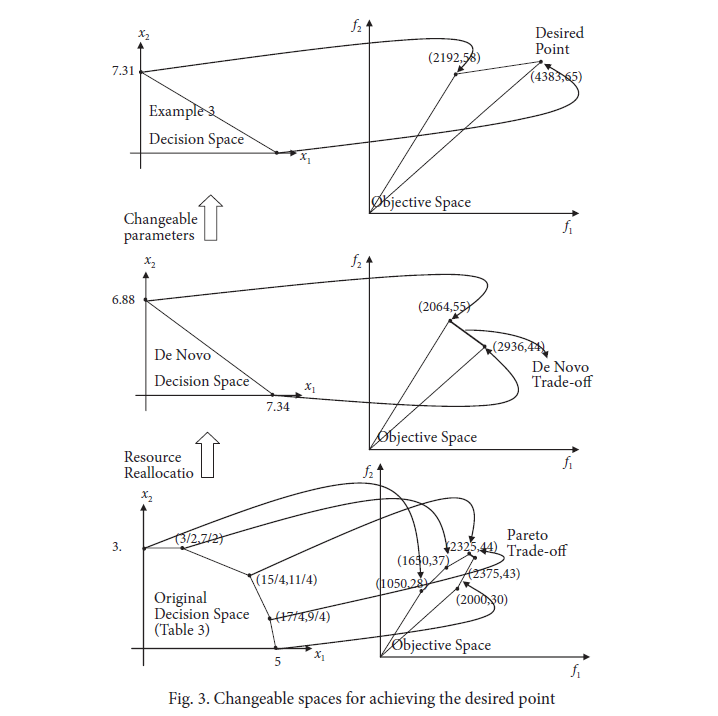 Jih-Jeng Huang, Gwo-Hshiung Tzeng (2014), New thinking of multi-objective programming with changeable space - In search of excellence, Technological and Economic Development of Economy (Accepted, SSCI, IF: 5.605, 2011; IF: 3.235, 2012). Abstract. Multi-objective programming (MOP) is a branch of mathematical programming that has been widely used to deal with various practical problems. With the introduction of new technologies and business models, a paradigm shift in optimization problems is gradually taking place from fixed to flexible optimization. For example, many organizations use outsourcing or business process reengineering (BPR) to improve or upgrade their objective and technological coefficients to achieve better performance. Hence, traditional MOP models should be extended from the concept of fixed to changeable parameters, called changeable space, which includes decision space and objective space. 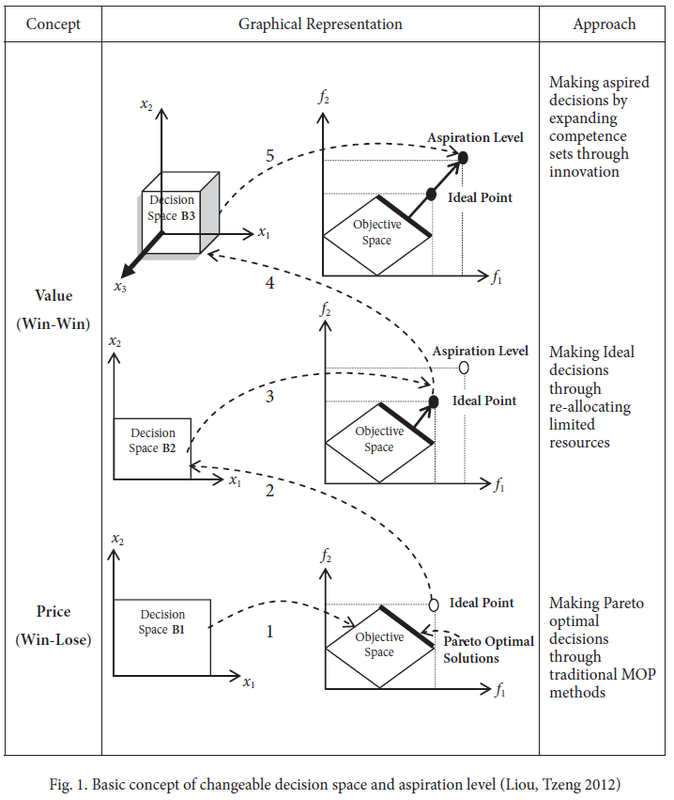 In this paper, we propose three kinds of MOP model with changeable parameters to help decision-makers achieve the desired point (aspiration level), which is better than the ideal point. 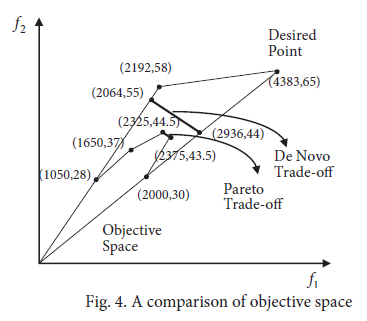 Keywords: decision making, mathematical model, multi-objective, optimization, multi-objective programming (MOP), optimization problems, changeable parameters (changeable space), desired point (aspiration level). Keywords: decision making, mathematical model, multi-objective, optimization, multi-objective programming (MOP), optimization problems, changeable parameters (changeable space), desired point (aspiration level).